Second Storey – Sunny Day. Seen in Medina, Ohio. Still ticking is the Toshiba Satellite A215 I bought new in September 2010, its life extended now using a Samsung 830 solid-state drive (SSD) and Windows 8. Now, there was nothing wrong with the original mechanical hard drive except for the typical long boot time. And there was nothing wrong with Windows 7, except that I didn’t have installation disks (darned “instant upgrade”). The combination of things, however, called out for a change of course: I would install the SSD “bare” and make a fresh operating system (OS) install. 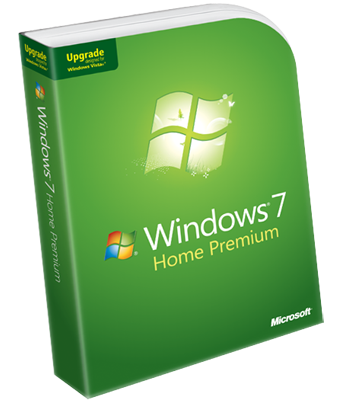 Since I’d have to pay for Windows 7 — again — I decided to reinstall the computer’s original Vista Home Premium and install Windows 8 for the low, low introductory upgrade price of $39.99. It took all day. First the lousy Toshiba restore process included all of the original bloatware — stuff I didn’t want originally and certainly not now! That took more than an hour. The good part of that restore is that it restored use of the Toshiba’s built-in LAN port, apparently broken by some previous driver update. My “immediate gratification” download of Windows 8 took, oh, probably about six hours! Fortunately I could walk away and let the file dribble down, stopping by once in a while to look at the estimated time remaining and heave a sigh. Once downloaded, Windows 8 installed quickly and without error. I installed the few Windows updates waiting, and was good to go! The SSD transformed the laptop’s user experience with power-on to logged on in less than a minute; I love the thing. The machine makes less heat now, its internal fan runs mostly at low speed, and I suspect battery life is proportionately improved but I haven’t tested that. Windows 8 is truly made for tablets, no doubt about it. But I like the freshness of its design, even like the lock screen (shown above), and beneath it all I see Windows 7’s DNA; I feel very comfortable once back at the desktop, behind the tiled interface. 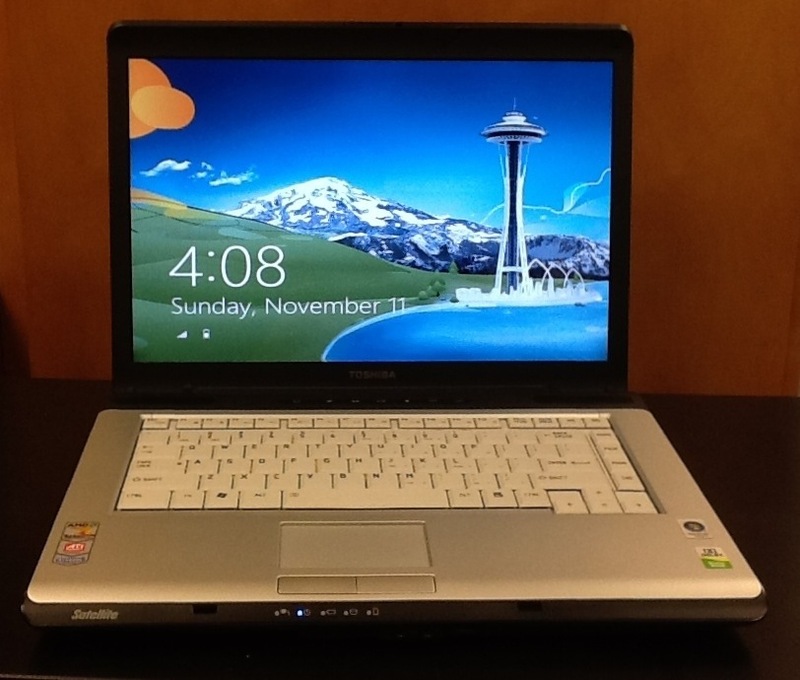 Best of all, for less than the price of a Kindle Fire, I have a speedy, fully-functional notebook computer with a full-size keyboard ready to work with me for some time to come: Vista > Windows 7 > Windows 8 – the third OS for my old laptop PC. Last night, instead of vegging out and watching TV, I embarked on a great adventure: upgrading my main computer from Windows XP to Windows 7. When I bought that machine, Windows Vista had just come out and had a bad reputation — deserved or not. So I opted for a Dell Optiplex that was "Vista Capable" but came with XP installed. I still believe that was a wise move. Since then I've used Vista a lot and have purchased dozens of new Vista PCs for work and Vista's pretty darned good. I was eager, however, to try Windows 7 and, once I installed it on my notebook and saw performance skyrocket, I was well and truly sold. So I pushed out the last work I needed from Apollo (my desktop computer) Monday. Last night I began the process and, as with the notebook, after telling the installer program that I wanted a "Custom" installation (the only choice with XP) and which hard drive to use, I pretty much did other things. At the end, I had a beautiful Win7 desktop, a few of my familiar desktop shortcuts, and a lot of reinstallation work ahead of me — most of it yet to do. Yes, I'm already loving the Win7 experience. I went to bed with the upgraded machine busily synchronizing data between itself and the remote backup system. The only sort of "gotcha" I encountered was that the Windows Easy Transfer* I ran in XP copied the wrong user profile. It wasn't the program's fault –there's always been something strange about the way my XP handled my profile– and I've been able to recover what might otherwise have been lost. The XP strangeness? I'd log in on Apollo using the same username I have at the office, let's say it's james01. Login would go fine, I'd do my work, and shut down. Next time I'd log in the username would appear in the login screen as, say, jamesG. It would accept the james01 password and all would be well. I still don't understand what was going on there but discovered there were, in fact, two user profiles: the one I thought I was using and the one I was actually using and I had Easy Transfer copy out the profile I thought I was using. Happily for me, I'm in the habit of not using my profile's default location(s) –My Documents– as the place for saving most of my stuff. Also happily for me, the upgrade process packed up the Windows XP installation in a big ball called "Windows.old" which preserved all profiles; I've, so far, been able to recover necessities such as Thunderbird email files from that ball. There's also the twin fall-backs of a local external hard drive backup and Mozy remote backup. Whew! Over the next few days I'll casually reinstall the software I commonly use (Photoshop, camera software, InDesign, and the like) and before you know it I'll have a nice new computer. I guess that's just part of my modern life. * Windows Easy Transfer really is a great free tool for this "new computer" thing. The program can be used in several different ways to perform the sometimes-daunting task of "moving your stuff." Users need to think a bit ahead and install the Easy Transfer software on their older computer and figure out which of three approaches get the Transfer file on to the "new" computer — whether it be a different machine or the same machine post-upgrade. Windows 7 has Easy Transfer already installed. For the first time in a while I actually had some fun on the job. 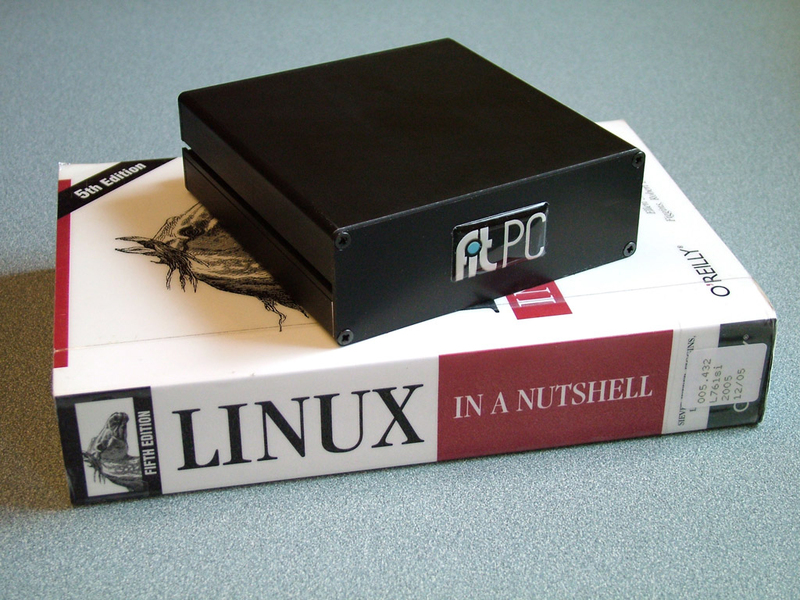 It involved the smallest full-featured PC I've ever worked with and the Ubuntu Linux package that came with it. We've had a number of older dedicated compact PC systems fail recently due to age, more than anything. I'd been looking for replacement solutions… something that is very small and only needs to do one job: serve up Web pages from our online library catalog system. I'd thought about Mac Mini and heard good things about their use. Still, I really wanted something less expensive that could run Windows. I know, "Windoze." We have certain tools that make configuring a Windows box easy so I was leaning in that direction. Then I read about the fit-PC. When the machines were first offered for sale they were so popular amongst enthusiasts and tinkerers that they were immediately sold out of stock! Recently, however, our need became urgent and the fit-PCs became available. Ubuntu Linux comes pre-installed on these little machines but Windows XP can be installed by the end-user if desired. This was a perfect opportunity to see just how good Ubuntu is and, if it didn't fit our needs, I could always dump it and trudge back to the familiar territory of Redmond. It turns out I didn't need to change a thing. Ubuntu with its expert user community provided nearly everything I needed. To create a secure browser kiosk I needed only to do a few "Linux things" and install and set up Opera's browser in its kiosk mode! It works great. The fit-PC uses only 5 watts of electrical power (monitor not included) whereas the machine it replaced ran on 75 to 100 watts. The Fit is installed in a bracket within the base of the carrel that supports the monitor, keyboard, and mouse. Users don't notice any difference — they're still looking at our catalog Web pages — and the system has the added benefit of being practically silent. Fit-PC is air-cooled (no fans) and its internal notebook hard drive contains the only moving parts. It runs using free, open-source software bringing the CPU system price in at about $300 compared with more than twice that price for the system it replaces. I've also become very enthusiastic about Ubuntu. I'd played with Red Had Linux a couple of times over the years. I have also installed and used Solaris. They seemed very difficult to install, required payments and registrations for basic OS updating, and never seemed to have the kind of polish necessary to make a good system for desktop users. Servers are another matter and another story though, as I've said before, Sun's update process is weak. Ubuntu is beautiful. Installed in half an hour on an old PC in my shop, another 15 minutes for initial automatic updating, and shows great promise for special applications around the home and office. Fun at work returns –for a while anyway– at last! I did, indeed, spend my day in the office instead of enjoying a very pleasant spring day out-of-doors. I was rewarded, however, with success in moving the DHCP service from one server to another, newer one. I'd failed in my first attempt –last night– but tonight's efforts paid off. Next I need to move user profiles and user personal file spaces off of the old server. The old machine has been very reliable but is getting up in years. Where servers are concerned it is best to replace them before they fail … there's much less pain involved! So I'll work on that over the next week or so and then try and figure out what to do with a big vintage Windows 2000 Server that has been in near continuous operation since just after Windows 2000 was introduced. Good thing I was in the Server Room, as it turns out… the air conditioner stopped working and the temperature was rising. Hot air in the Server Room is not a good thing.